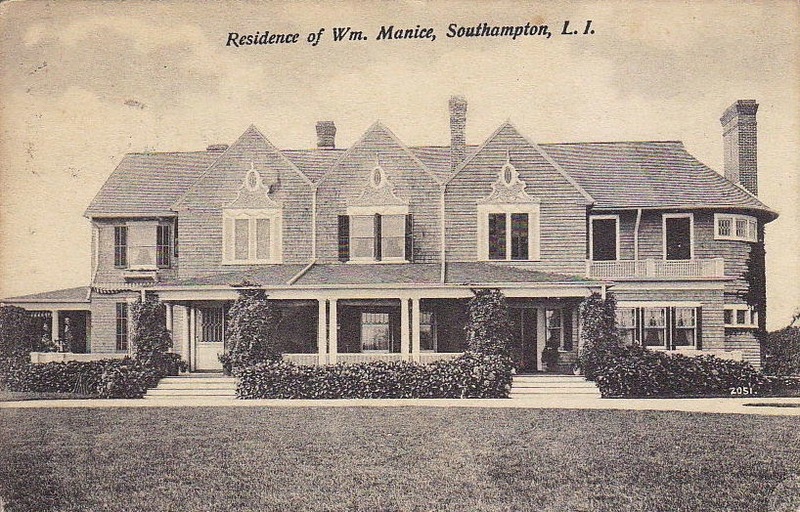 'Wahnfried', originally built for Francis Lewis c. 1895 in Southampton and pictured here under the ownership of William Manice. Click HERE for more on 'Wahnfried' and HERE to see the residence on bing. Very nice -- although that style of roof easily becomes a leaking nightmare in rain & snow. The second floor has been enlarged -- it now extends over the front & side porches; probably to make room for bathrooms & walk-in closets. Still, the house is remarkably sympathetic to the original look.